People give notice to their employers of their resignation every day. It is a fact of life. Even the leaders of nations give notice, usually in parliamentary systems of government or monarchies after all Prime Ministers are a Euro Dime a Dozen and Monarchs do the abdication thing often. Not as often as they used to but still often enough so it isn’t such a big deal, unless you are Queen Elizabeth the Second and are holding out on death just to outlast your oldest son and rightful heir. Even a President of the United States resigned his office, albeit under threat of impeachment and I hate to say it but I have given notice before and even enjoyed doing time a time or two. Now when the Pope resigns it is a big thing. It doesn’t happen every day, or in fact every year or even every century. When it happens it is historic. Today Pope Benedict XVI surprised everyone, including most of the hierarchy of the Roman Catholic Church. It was stunning. When I awoke this morning the internet and my Twitter feed were ablaze with the news that Benedict had announced that he would resign effective the evening of February 28th. In fact there are only about 5 times in history that it has happened, so if you do the math it only happens about every 400 years or so. 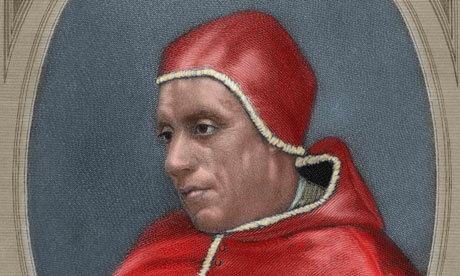 The last Pope to offer his resignation was Pope Gregory XII who resigned in 1415. That year he was not alone, there were two other Popes claiming to be the legitimate Pope and his resignation was part of a deal to elect a new Pope for the whole Roman Catholic Church. So in effect he resigned under less than normal circumstances since there is only supposed to be one valid Pope at any given time. Other Popes have resigned. Pope Celestine V did so in December 1294 after making two official lasting decisions from the chair of Peter, one being to lock in the Cardinals for the election of succeeding Popes, known as the Conclave and the other the right for any Pope to resign. He was the first to take advantage of the second decree, getting out of the chair after a five month reign to return to monastic life. He just didn’t care for the high pressure of the job and that was even before cable television. 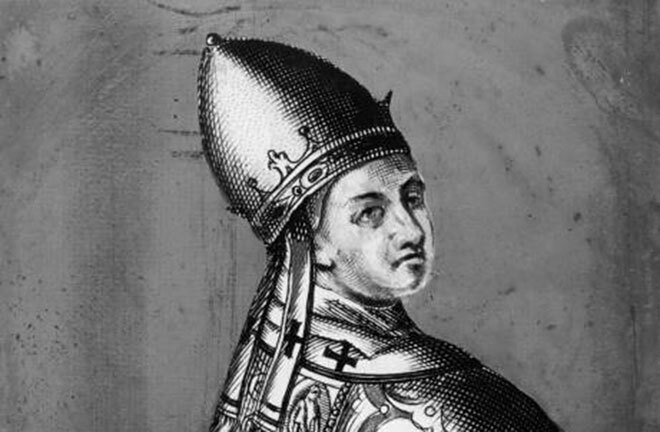 Pope Benedict IX resigned in 1045 be selling the office to his Godfather who took the title Pope Gregory VI. Now Benedict IX soon discovered that life outside the Vatican was not nearly as good as he thought it would be when he didn’t get the girl of his dreams. 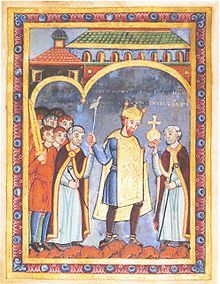 So he went back to Rome took the city and redeclared his Papacy which was put to an unceremonious end by Emperor Henry III, a German of course who not only deposed him but forced Gregory VI to resign because he bought the office from a relative, a practice condemned as simony and another would be Pope Sylvester III. 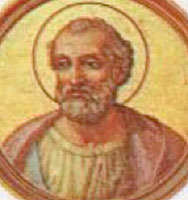 Pope Marcellinus reportedly resigned his Papacy during the Diocletian persecution in 304 AD after offering incense to idols. He recanted his lapse and was martyred in that same year. 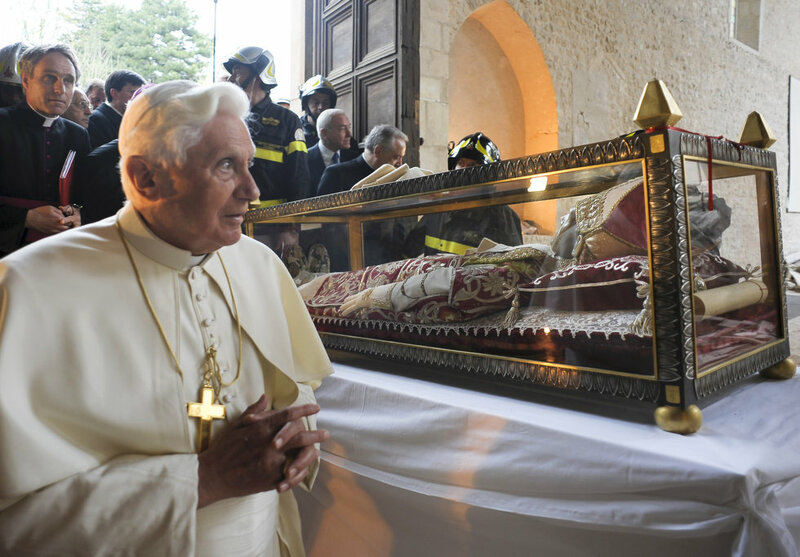 So what Pope Benedict is doing is historic and pretty rare. His reason his is age and realization that he no longer able to handle the responsibilities of the office in mind and body. I can appreciate his reasoning. He was a friend and the long time right-hand man to Pope John Paul II and as a friend suffered with that Pontiff as he endured a precipitous physical decline in his last years suffering from Parkinson’s disease. I am sure that Benedict, who is not doing as well physically does not want the Church or the world to endure another Papal death watch with all of the associated drama and having to remain for practical purposes the Pope in name only with others running the Church. It is really far too early to evaluate the long term the long term impact of Benedict XVI’s Papacy. His changes in the Liturgy will have an effect, bringing back a liturgy that is closer to the Latin than the last English translation of the Mass, but which may have an unintended backlash among English speaking Roman Catholics who have grown up with the post Vatican II “Novus Ordo” liturgy. He has also offered an erudite defense of pre-Vatican II Roman Catholic theology. He is an effective and solid Catholic theologian, while one may disagree with his theology, as many Protestants, Orthodox and Old Catholics would that he is a solid theologian. Now whether the liturgical changes and his theological writings have a long term impact is problematic. His supporters will argue that they will have a positive impact, his opponents and detractors will argue those points. 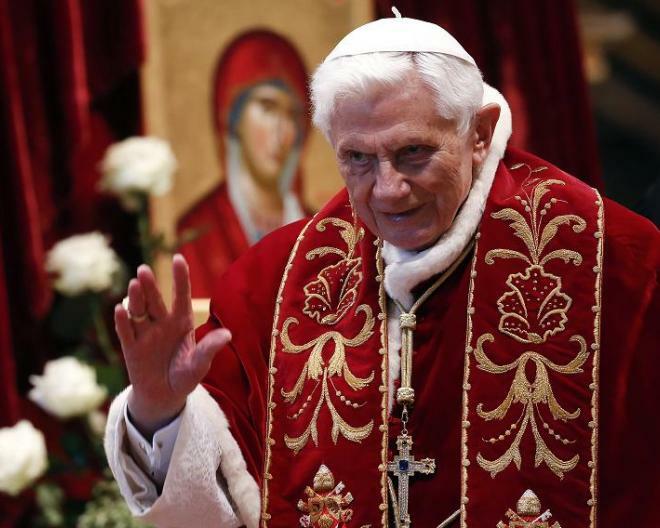 That debate will last beyond Benedict’s Papacy and likely well beyond his lifetime if he indeed is so sick that he believes that his physical and metal conditions are no longer what they need to be to continue to serve as Pope. Only time will tell. Benedict has been given credit for being more ecumenical by some, particularly in opening a door for dissident Anglican clergy and parishes to enter the Roman Catholic Church, but even those efforts are clouded by the way that they happened. Benedict talked of dialogue with the Orthodox Churches but little has happened on that front and in most cases the Orthodox feel further separated from Rome than they did before this Papacy. The deal with the Traditional Anglican Communion to allow their clergy and parishes into communion through what is called the Ordinariate, is not a real demonstration of ecumenical cooperation. It is for all intents and purposes the decapitation of the leadership of Traditional Anglicans around the world. Most laypeople in the TAC were not happy with the deal, few parishes actually moved to Rome, the majority of the “converts” were clergy who wanted to be in communion with Rome, and only some of them were accepted as Priests in the new organization. After the first generation the exceptions made for married clergy and Anglican use liturgy will end. A Roman bishop, not a former Anglican heads the ordinariate and all future candidates for ordination will have to comply with Roman Catholic standards. That is not union, it is a takeover that has hurt many Traditional Anglican parishes around the world who may have at one time seen the Papacy as a friend and ally in their stand against secularism. But more of a problem for Benedict’s legacy is the continuing scandal of the Clerical Sexual Abuse problems in the Church. These scandals predated his Papacy and continued into it. Benedict’s own complicity in some of the cover ups both while serving as the Cardinal Archbishop of Munich and as the head of the Office of Doctrine and Faith are not fully known but in at least one case it has been demonstrated that he knew of a Priest accused of sexual crimes and quietly moved him to another parish. To his credit Benedict has admitted the Church’s “sins” and asked for forgiveness from both God and the victims of these crimes. However in many places the Church continues to resist dealing with the crimes of its clergy and religious institutions and in most cases the Vatican has not acted to force local dioceses to cooperate with civil authorities. The case of the Archdiocese of Los Angeles, which was forced by the courts to reveal the names and details of well over 100 documented cases of clerical abuse is certainly the tip of the iceberg. In the United States, Ireland, Australia, Austria and many other countries governments often forced by Catholic faithful seeking justice are taking action, and in some cases, like in Austria strong dissident groups of clergy are making their voices heard. Traditionally Catholic nations including Ireland are falling away, in large part due to the decades of unrequited scandal and abuse. Despite asking for forgiveness and admitting the crimes, the Vatican and Benedict have taken no universal action to force their bishops to take responsibility for and ownership of the crimes of thousands of clergy and religious over a span hundreds of years. That inaction and recalcitrance threatens to undo any positive effects of Benedict’s Papacy. It will be interesting to see how the Roman Catholic Church handles this unique transition in Papal power, with a still living former Pope remaining as his successor begins his reign as Pope. Of course I have not addressed many of the other issues that remain, the relationship of schismatic traditionalist Catholics to Rome, dialogue with other Christian churches and non-Christian religions, social issues dealing with contraception, married clergy, female clergy and gay rights remain. Likewise some supposedly Catholic economic conservatives stand against historic Catholic social teachings regarding the poor, economic justice, immigration, capital punishment and war. 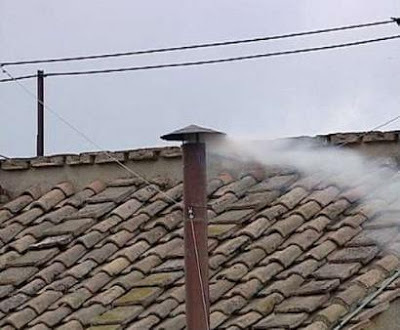 There are a host of issues that remain and the crisis in the Roman Catholic Church will not end with the selection of a new Pope. It may even become more acute depending on who becomes Pope, how the people respond and how the former Pope deals with his successor. This is not a “normal” Papal transition and much prayer, even by non-Roman Catholic Christians is in order. Though I am not a Roman Catholic, but an Old Catholic I do believe that is my responsibility as a Priest to pray for Pope Benedict and his successors. That being said I do not know if there are any among the Cardinals that Benedict has appointed that will be able to in the words of Hans Kung “to lead the church of out of its multifaceted crisis.” There may be and I do pray for that man. The Roman Catholic Church is in crisis. Pope John Paul II was so incapacitated by the latter years of his Papacy that little to nothing was done. Benedict has focused his efforts on things that sought to improve the doctrinal purity of the Church but did little to address other deep rooted issues that are threatening to tear the Church apart. It is unsure why the Pope picked today to announce his resignation. Perhaps Benedict has learned news from his physicians that has hastened his decision. Since Papal medical news is closely guarded it is an open question. Perhaps it was a realization that the needs of the office are greater than he can muster in declining health. Perhaps there are more scandals in the offing that he no longer wants to have to defend the Church against them. Of course all of that is speculation as is any attempt to figure out who the Cardinals will elect in March. Regardless of why Pope Benedict offered his resignation it was a historic day.